This has been a really difficult year with plenty of ups and just as many downs. Whether it was in the world of politics, scandals that have rocked Hollywood or the changes that women are trying to make in every facet of the world and so much more. We live in a very unsettling world, but I hope that some of the goods things included in this 2018 year-end round-up brought some cheer to you as we close out the year. 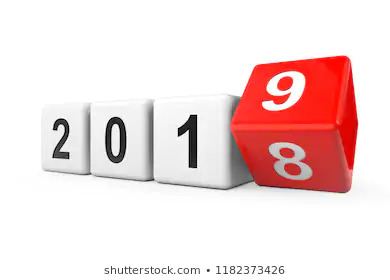 We have all had good and bad times throughout the year, but we can all rejoice in the great entertainment these medium – television, movies, music and books – have provided. PS: Thank you all so very much for visiting my site. I hope you will continue to visit as often as you can. It’s the end of a year that, well, could have been better in many ways. But there were some highlights in television, movies and books that I wanted to share in case I can inspire someone for 2019. I dug into movies as I usually do, but a few stood out by the end of the year as worthy of your time and money. Bo Burnham did a stellar job in capturing an awkward girl in eighth grade trying to navigate her life. Rueben’s already highlighted how Elsie Fisher is good in this role, and it’s true. The whole movie is raw and made me uncomfortable in a good way. If you don’t cry at a story about Mister Rogers, I don’t know what your life was like, but it needs Mr. Rogers. 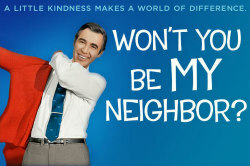 Once a staple of children’s television watching, this movie gives new details on the way in which Fred Rogers was a trailblazer and reminded me of how much we all need empathy for each other. This animation is amazing! The story is heartfelt and brings in so many good Spider-memes from years gone by. 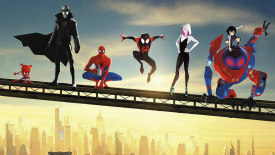 Miles Morales is the next Spider-Man we need on screen and this movie tells you why. Many of my favorite shows this year are repeats of years before (The Good Place is quality always) but I do want to take note of two new series and one episode that stood out as amazing. Netflix’s series based on the Archie comic is dark, but in the best way. As a kid I loved the version on ABC, but this keeps the world with dark magic, darker villains and less of a laugh track. Kiernan Shipka is stoic when she needs to be but also confused and expressive of Sabrina’s awkward position in life. Brought to America via Netflix, this ITV drama is a thriller based off the complicated life of a Personal Protection Officer who gets tangled in a plot against the Home Secretary. Starting Richard Madden, the show pulls off so many twists and turns but with an end that feels right given the looming threat of terrorism in the show’s conceit. 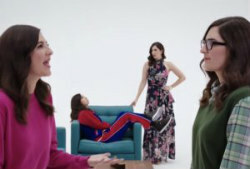 D’Arcy Carden is a gift to us all! She played at least seven characters (including characters pretending to be other characters) in twenty-two minutes of jam-packed television. If she doesn’t win an Emmy in 2019, we’ve all been robbed. Normally I’m so bad about books in the end of the year. That’s not to say I’m not reading, but I tend to read quickly and find few stick with me weeks later. I’m so glad to find that more than a few books did stay with me this year. Britta Lundin currently writes for The CW series Riversdale, and that affects so much of Ship It‘s story. When a fangirl raises the question about why two male leads on a show can’t be shipped in a convention panel, the fangirl’s life changes in numerous ways. First, she’s asked to be part of the rest of the promotional tour for the show, but that means being around the cast – not all of whom get shipping. But the book is more than just a book about fan’s interacting with the creative team, as the heroine has to figure out so many other things about herself in the process. 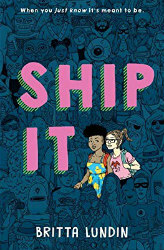 If you’re a fan of enough TV and ship an unconventional couple, this book is for you. 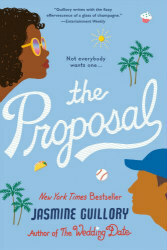 Jasmine Guillory turned out two books this year with something I rarely see: an African-American heroine. 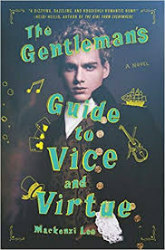 The two books are interconnected, but reading a book with a character who looks like me is something I rarely find. For that alone, these each stuck with me. 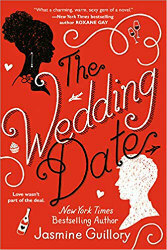 Plus, they’re each funny but relatable stories of finding love in some very awkward situations. For YA books, there’s always a hook I need to be drawn into books. 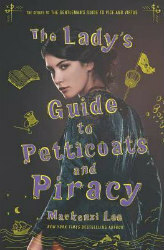 This time it was historical fiction with action and adventure with some dysfunctional family dynamics mixed in. There’s not a great way to talk about each book without spoiling so much, but if you’re sold on watching teens having to use their brains to get through Europe without money, then these Mackenzi Lee books are perfect! 1. Kiki Layne – Kiki’s first role was in a 2016 episode of Chicago Med, but it will be her role in thismonth’s If Beale Street Could Talk box office movie that will turn people’s heads. She will be seen in the 2019 movies Captive State with Vera Farmiga and John Goodman and Native Son with Nick Robinson, Sanaa Lathan and one of last year’s faces of 2018 Margaret Qualley. 2. 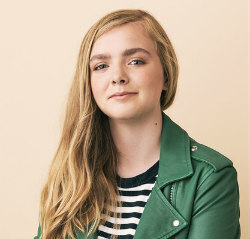 Elsie Fisher -The breakout star of Bo Burnham’s indie hit Eighth Grade, Fisher has been earning raves since the movie’s Sundance debut earlier this year. She appeared in the 2015 movie McFarland, USA alongside Kevin Coster and has provided the voice for Agnes in the Despicable Me franchise. She will next be heard in the upcoming animated film The Addams Family. 3. 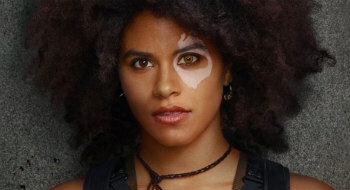 Zazie Beetz – An Emmy nominee for Atlanta, Beetz stole scenes in Deadpool 2 and will reprise the role of Domino in the X-Force spin-off. She has a number of films in the works including Noah Hawley’s Pale Blue Dot alongside Natalie Portman, Dan Stevens and Jon Hamm; The Joker alongside Joaquin Phoenix and Robert De Niro; High Flying Bird with Zachary Quinto and Kyle MacLachlan and Against All Enemies with Kristen Stewart and Vince Vaughn. 4. 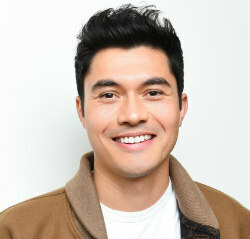 Henry Golding – He made his film debut as the leading man of Crazy Rich Asians and starred alongside Blake Lively and Anna Kendrick in A Simple Favor. He will next be seen opposite Emilia Clarke in Last Christmas and in Toff Guys alongside Kate Beckinsale, Matthew McConaughey and Hugh Grant. 5. 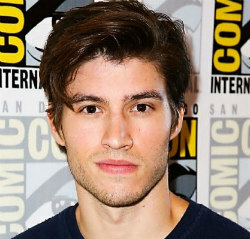 Cameron Cuffe – Cameron had a small role in the box office film Florence Foster Jenkins followed by appearing in an episode of the short-lived series Time After Time and the British series The Halcyon. He is now the star of the Syfy drama Krypton, playing Superman’s grandfather. 6. 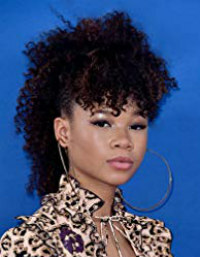 Storm Reid – She got her first big break in the box office movie 12 Years a Slave, but it was her lead role in A Wrinkle in Time that turned heads. Storm will next appear in the Netflix mini-series Central Park Five that will include among its cast Vera Farmiga, Kylie Bunbury, Felicity Huffman, Blair Underwood and Joshua Jackson. 7. 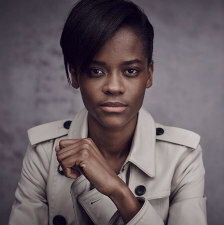 Letitia Wright – While Letitia has been acting since 2011, but it was turn as Shuri in both Black Panther and Avengers: Infinity War. She also had a role in this year’s Ready Player One. Next year she will appear in Guava Island, appearing alongside Donald Glover, Rihanna and Nonso Anozie and she will reprise her role in the next Avengers movie. 8. Thomasin McKenzie – This Kiwi actress turned heads at Cannes as the daughter of a damaged US military vet in the indie hit Leave No Trace and she will appear in the following 2019 films: The King with Timothee Chalamet, Joel Edgerton and Robert Pattinson; The True History of the Kelly Gang with Charlie Hunnam, Russell Crowe and Nicholas Hoult and Jojo Rabbit with Sam Rockwell, Scarlett Johansson and Rebel Wilson. 9. Lana Condor – Lana had roles in the 2016 box office movies X-Men: Apocalypse and Patriots Day, but it was this year’s Netflix teen rom-com To All the Boys I’ve Loved Before that has garnered her the most attention. She isn’t stopping there, though, as she appear in next year’s new Syfy series Deadly Class alongside Benedict Wong and the box office film Alita: Battle Angel – which includes the ensemble cast of Jennifer Connelly, Michelle Rodriguez, Mahershala Ali, Christoph Waltz, Jackie Earle Haley, Eiza Gonzalez and Rosa Salazar. 10. 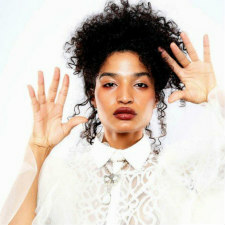 Indya Moore – The Bronx native has modeled for GQ, Gucci and Christian Dior, has appeared in Vogue and OUT and she turned heads in the role of Angel in Ryan Murphy’s FX TV series POSE. 11. Brooklynn Prince – This young actress broke hearts and won a Best Young Performer Critic’s Choice Movie Award in the Willem Dafoe-led 2017 box film The Florida Project. She will next provide her voice in the upcoming animated movies The Angry Birds Movie 2 alongside Awkwafina, Dove Cameron, Peter Dinklage, Sterling K. Brown, Rachel Bloom, Jason Sudeikis, Bill Hader, Josh Gad and Danny McBride and The One and Only Ivan that will feature voices provided by Angelina Jolie, Sam Rockwell, Helen Mirren, Bryan Cranston and Danny DeVito. Are there any actors or actresses who you think are the faces to watch in 2018? Please share. 1. 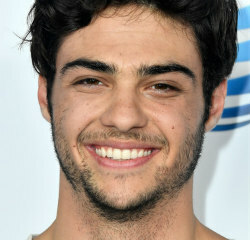 Noah Centineo – Noah got his start in several episodes of Austin & Ally and later took over the role of Jesus Adams Foster on the recently cancelled Freeform drama The Fosters. It was this summer that put him even more on the radar by his role of Peter Kavinsky in the widely popular Netflix film To All the Boys I’ve Loved Before. He also appeared in the other Netflix summer film Sierra Burgess Is a Loser. Next up is his role in the box office remake of Charlie’s Angels. 2. Kelly Marie Tran – While Kelly has been a working actress since 2011, it was her turn as Rose Tico in 2017 Star Wars: The Last Jedi that garnered her a lot of attention. She also appeared alongside Elizabeth Olson in the Facebook drama Sorry For Your Loss. Kelly will also reprise her role in the next Star Wars movie that is current in production. She also had a moving op-ed piece in The New York Times, speaking out about online bullying. 3. 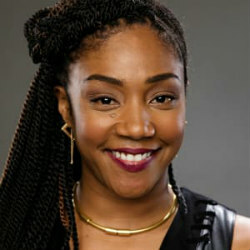 Tiffany Haddish – It’s been a big year for Tiffany after her head-turning role in the box office comedy Girls Trip in 2017. Throughout this year, she has appeared in Tracy Morgan led comedy The Last O.G. and the box office films Uncle Drew, Night School and Nobody’s Fool. She also has a very busy year to come with voice roles in the box office films The Secret Life of Pets 2 and The Lego Movie 2: The Second Part and comedy The Kitchen that will also star Melissa McCartney, Elizabeth Moss, Common and Domhnall Gleason. 4. 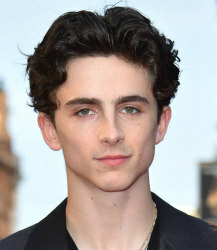 Timothee Chalamet – Timothee appeared in a several episodes of Royal Pains and had a recurring role in the second season of Homeland in 2012, but it was his role in the independent hit Call Me By Your Name that garnered him a lot of attention and awards. He has also appeared in the box office films Lady Bird with Saoirse Ronan, Hostiles with Christian Bale and Rosamund Pike and Beautiful Boy with Steve Carell. Among his upcoming film work includes Woody Allen’s A Rainy Day in New York, a new adaptation of Little Women, The King, a new adaptation of Dune and a sequel to Call Me By Your Name. 5-6 and 7. Hannah Zeile, Niles Fitch and Logan Shroyer – This talented trio portray Randall, Kate and Kevin in the hit NBC series This Is Us. For Hannah, this is her first big role; Niles has appeared in episode of Army Wives and Mistresses as well as the box office films St. Vincent with Melissa McCartney and Bill Murray and Roman J. Israel, Esq. with Denzel Washington; and Logan who has appeared in a couple episodes of the Nickelodeon series The Thundermans and an episode of the comedy Speechless. 8. Awkwafina – The actress born Nora Lum, appeared in the 2016 Neighbors 2: Sorority Rising and a few episodes of the streaming series Future Man, but it’s been her roles in the box office hits Ocean’s 8 and Crazy Rich Asians that really catapulted her to the top. She will appear in next year’s box film Paradise Hills alongside Emma Roberts, Eiza Gonzalez and Milla Jovovich and she is one of the many voice actors to be featured in the next animated movie The Angry Birds Movie 2. 9. Gemma Chan – Gemma got her start in episodes of Doctor Who, Sherlock, Secret Diary of a Call Girl and Bedlam before landing a leading role in the British series Humans that aired on AMC in the States. She has appeared in the box office films Fantastic Beasts and Where To Find Them, Transformers: The Last Knight and a little movie called Crazy Rich Asians. She can currently be seen in the box office film Mary Queen of Scots alongside Saoirse Ronan and Margot Robbie as well as the much anticipated 2019 film Captain Marvel. 10. 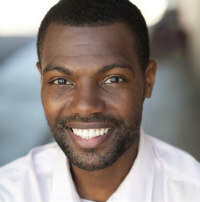 William Catlett – William has an impressive resume of roles in video shorts, short films and TV shows, but it has been his roles in the popular new series Black Lightning – where he plays Lala – and the OWN drama Love Is __ that have garnered him a lot of attention. He is also currently working on a feature film adaptation of the documentary 12 O’Clock Boys. 11. Lucas Hedges – Lucas got a lot of attention from his role in the Oscar-winning film Manchester By the Sea back in 2016, following that up with roles in the 2017 films Lady Bird and Three Billboards Outside Ebbing, Missouri. This year he has had three big roles in the box office films Boy Erased with Nicole Kidman and Russell Crowe, Ben Is Back with Julia Roberts and the Jonah Hill written and directed film Mid90s. He also has two projects underway: Honey Boy with Shia LaBeouf and Laura San Giacomo and Waves with Sterling K. Brown. Who are some of the faces from this year who caught your attention either on television, in music or in film? Please share. TV ratings are the life’s blood of every series on the major and cable networks. The success or failure of every show is at the mercy of their ratings. As has been the case for FAR too long, the networks put far too much value on the viewing habits of 18-39 year olds, basically ignoring anyone over the age of 40 – and especially overlooking senior viewers, who are the driving force of the buying market, but heaven forbid that those of us older viewers are forgotten about in order to focus on the young. As has been my preference for a VERY long time, it is my mission for year to focus only on the overall viewership (the millions of viewers who watched each show) of the major and cable network dramas. Each section below will feature a list of all the dramas (and dramas only) from highest to lowest and an explanation of the time period for which each list covers. NOTE: The ratings for the following shows could not be tracked down: Call the Midwife (PBS); Ice (DirecTV); Private Eyes (ION), Shoot the Messenger (WGN America); Unforgotten (PBS); and Victoria (PBS). NOTE: Ratings for the following show could not be tracked down: 100 Code (WGN America); Condor (DirecTV); Deep State (EPIX); Endeavour (PBS); Mr. Mercedes (DirecTV); Private Eyes (ION); The Tunnel: Vengeance (PBS); and X Company (Ovation). NOTE: Ratings for the following shows could not be tracked down: Berlin Station (EPIX); Clique (POP); Durrells in Corfu (PBS); Mr. Mercedes (DirecTV); Poldark (PBS); The Miniaturist (PBS); The Woman in White (PBS); Versailles (Ovation) and X Company (Ovation). NOTE: The Orville will return for the start of its second season on FOX on December 30. 1. As has been the case for many years now, NCIS is still the reigning champ on TV. Of course, CBS is still the top network overall with more dramas in the top 10 than any other network. The top new drama for CBS is FBI while Elementary and Criminal Minds are the lowest rated shows for the network throughout this year. 2. The Good Doctor returns as the top drama on ABC for the whole year. The lowest rated dramas for the network are Marvel’s Agents of S.H.I.E.L.D. and How to Get Away with Murder. 3. The FOX drama 9-1-1 has taken over the top ranking from previous champ Empire while Gotham and The Gifted are the network’s lowest rated shows. 4. This Is Us is still the ratings earning for NBC with Chicago Fire and Chicago Med vying for second place. Unfortunately, for a second year Blindspot is the lowest ranked show on NBC. 5. Supergirl and The Flash are close competitors for the top dramas on The CW with Jane the Virgin and Crazy Ex-Girlfriend taking turns as the lowest ranked dramas. 6. As for the cable networks, The Walking Dead still holds the top spot while Yellowstone on the Paramount Network was the top summer cable drama. On the other end, Heathers on the Paramount Network and Rellik on Cinemax were the lowest rated cable dramas overall. The final list – which is VERY long – covers all of the made-for-TV movies, mini-series, event series and specials that aired during 2018 on both the major and cable networks for which ratings could be tracked down. What shows, made-for-TV movies, mini-series and/or specials have you enjoyed the most throughout the year? Please share.